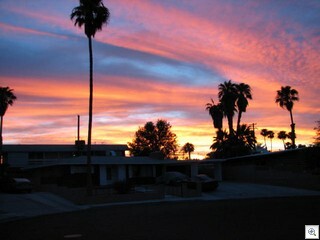 Last night’s sunset from my front yard in the historic downtown Las Vegas neighborhoods that I call Very Vintage Vegas. There’s 2 redeeming aspects of the annual August/September monsoon season. One of course is that it should/might rain a lot. The other, of course, is the magnificent sunsets. How it got to be August in the first place is bewildering. Each day is jam-packed with appointments and meetings and paperwork, and phone calls, and they fly by in a flash. I didn’t even realize that the entire months move just as quickly now-a-days. I SWEAR (once again) to get back to blogging regularly about the mid-century modern homes, the retro neighborhoods and urban living in Las Vegas. One thing that will help is that I’ve hired a new assistant to help me with the paperwork and filing drudgery. It’s so much more fun to be blogging and meeting with people when the paperwork is caught up. An interesting project that I’m working on with the City of Las Vegas is a smartphone app/Website that will allow any of us with a web enabled phone to report graffiti, junk cars, stagnant/green pools etc to the city without having to call in during business hours. I’m going to City Hall today to do the prototype testing and evaluation. Last week I was interviewed by the View newspaper about the history of the Huntridge Circle Park, and the Huntridge Neighborhood for an upcoming article about the Veteran’s Memorial that’s going to be built in Huntridge Circle Park. I emphatically emphasized that the neighborhoods would be happy to see the park open NOW – with or without bathrooms, or fences or a memorial. The selection committee is getting ready to make there final decision as to which of the 4 design concepts will be installed. Almost all the business we’re doing is short sale transactions. In the distant past (last year), it’s been a slow frustrating, laborious, and insane game. In the last few months, we’ve seen dramatic improvement in every aspect of the game. And yes, it’s a game. A game well worth playing. If you’re a buyer, it’s still the best way to get a great deal on a home you like. The home will likely to be in much better condition that a foreclosure, you’ll get a quicker answer from a short sale seller than you will from a bank, and the whole process is now averaging 3 months instead of 6 months. If you’re a homeowner who’s upside down on your mortgage, behind in payments, or struggling financially, there’s no reason to lose your house to foreclosure. A short sale can take the pressure off, give you time to regroup, and will not damage your credit nearly as much as a foreclosure. If you or someone you know is struggling with a mortgage they can no longer afford, give me a call. We’re handling short sales smartly and professionally. Almost all of the buyer’s I work with are buying in Vintage Vegas, but we’re handling short sales for the sellers all over the Valley and in every price range. 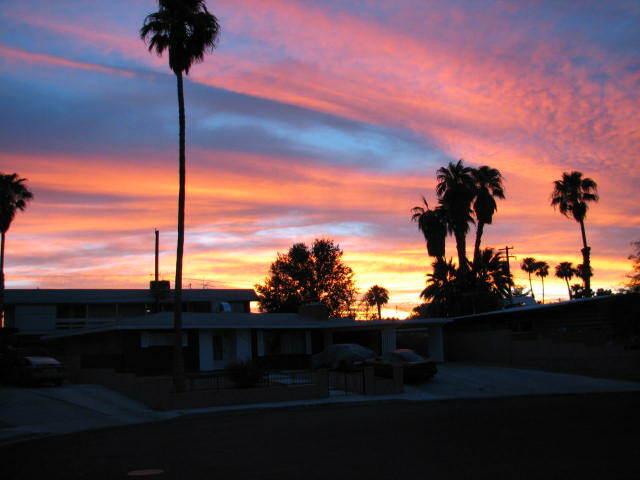 In their best of Las Vegas series, they mention (with my help) The Best Historic Neighborhood. I wanted them to mention all of them, but they polled me and their staff and others. I don’t know if there’s really a “best” and I’m partial to them all as you know.